This is a terrific post on the Midwest Living site. 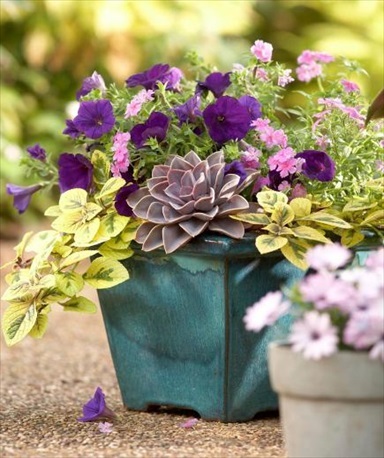 They feature 30+ different ideas for beautiful container gardens. If you click on “View All” on their site, you can see all of the 30+ different container gardens. Then if you click on any of the pictures, you’ll get more information. Very nice post with a lot of inspiration for anyone who wants to begin container gardening. Click on the 30+ Beautiful Container Gardens link to see the entire article.